Why does the school have to provide a member of staff? Merton Music Foundation will provide a tutor who will lead the lessons and make sure that the instruments are tuned and well cared for. However, they won’t know your children so it is important that someone who can help with classroom management or behaviour is present. Our tutor may require support from a member of support of staff in setting up the room, getting out or putting away instruments. Having a member of staff learning the instrument alongside the class also sends a powerful message to the children. What instrument should we choose? It is worth having a discussion with MMF staff. You will need to consider storage and the size of the teaching space. The choice is also influenced by the tutors we have available. 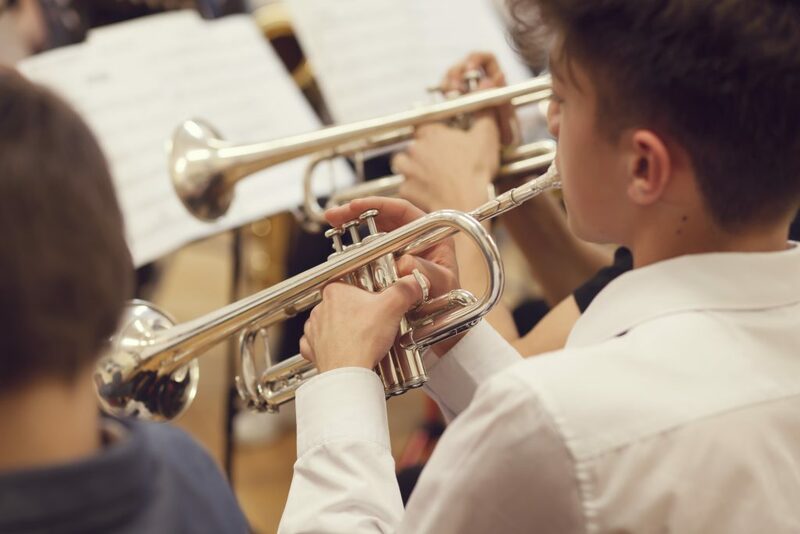 We have found that if a school member of staff is a “champion” for a particular instrument then that can be a good reason to choose it as they are likely to provide enthusiastic support. Can the children take the instrument home? This is possible by arrangement, but you need to be aware it does have cost implications for the school. For example, if a 2 form entry school chooses a violin project, they could potentially hire just 30 violins with both classes using the same set. If however, you want the children to be able to take the instruments home, then you will need to hire 60 instruments. The school will be expected to meet the cost of replacing or repairing any damaged instruments. Can we choose the days and the time when the project happens? We try very hard to be flexible and meet your school’s preferences. This is not always possible as it depends on the availability of the tutor and the instrument you have chosen. Generally, we have to work together to find a day and time that is suitable for your school and the tutor. We will do our absolute best to meet your requirements. It depends on what your school wants. The basic price is £1,000 for an afternoon teaching 2 classes, hiring 3O instruments for a 10-week term.